Justin Bieber and Selena Gomez have a reputation for unabashedly showing their affection in public. And now that Gomez is back in Los Angeles after filming her provocative role in Spring Breakers in Florida, she and the "Baby" singer who just released his new single, "Boyfriend," seem to be taking full advantage of every minute they can steal away together. But during one of their most recent outings, the pop sensations actually kept their PDA to a minimum, rather showing some serious love to their fans. How sweet! What a class act this couple is. Not only do they grab their own lunch at a low-key and accessible place like Panera, they also show no signs of diva behavior by fast-tracking to the front. Of course, the fans must have loved it all... the longer Bieber and Gomez wait in line, the longer they have to capitalize on their brush with fame. The personal tweets and Facebook updates must have been exploding during that time. 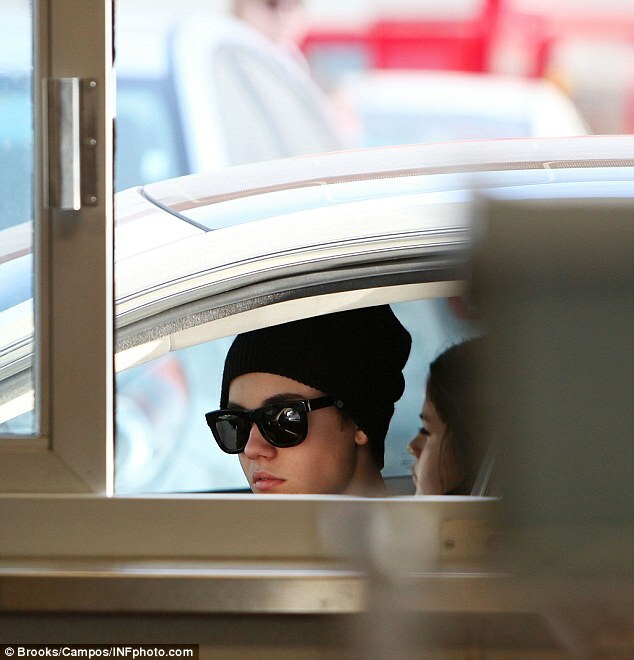 Sources at the café also confirmed that Bieber and Gomez ordered salad, soup and sandwich. Too bad there were no details on what kind! Nevertheless, it sounds like they were keeping it light--perhaps they had plans to fill up on ice cream later. Justin Bieber and Selena Gomez have always been known to be pretty fan-friendly. With the exception of a few less than attractive moments--several slips of the bird and other minor transgressions by Bieber (typically paparazzi-fueled), the couple couldn't be more appreciative of their fan club and their crush of followers. After all, it's this ever-growing group to whom they owe much of their success... even the fellow menu-ordering bunch at Panera.